» Siddh Parad » What is Parad or Mercury? Parad is solidified Mercury, which is a naturally occurring element that is found in air, water and soil. Mercury exists in several forms in nature, as elemental or metallic mercury, as inorganic mercury compounds and organic mercury compounds. Parad is derived from Mercury, which has undergone several stages of purification. 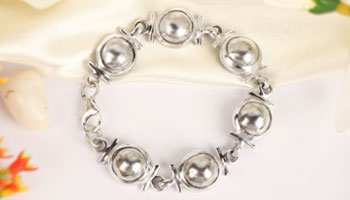 It is the most propitious metal and is believed to be the sperm of Lord Shiva. Parad is used extensively in Vedic rituals. Idols made of Parad are considered more powerful than those of metal, wood or ceramic. 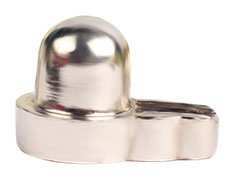 A Parad Shivling is considered to have the spiritual benefits equivalent to that of a thousand stone shivlings. Vedic scriptures state that Parad is the purest and the most auspicious of minerals and matters. According to the Brahma Purana, the worshippers of Parad Shivling will get wordly pleasures and ultimately find liberation (moksha), regardless of their gender, caste or birth. During their life-span, the worshippers of Parad Shivling will attain glory, honor, high office, name and fame, progeny and learning. 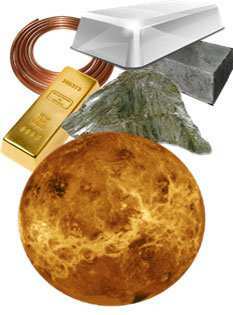 Mercury is an element of the earth crust. It cannot be created or destroyed. 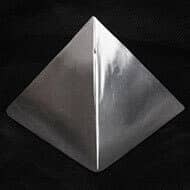 Pure mercury is a liquid metal, sometimes referred to as quicksilver that volatizes readily.The Brahma Purana states that worshiping Parad idols brings blessings from the Supreme Absolute and devotees attain final liberation. 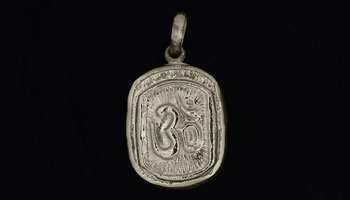 The Rig Veda has 117 shlokas about Soma, which comprises of Rhodium, Iridium and Mercury. According to Vedic mythology, all the yogis and truth-seekers travel to a mysterious region called "Siddhashrama" situated in the Himalayas. Meditating in the chilled climes of the Himalayas, the yogis there take an elixir of mercury to increase the intensity of their meditation while at the same time minimizing the number of breaths they inhale. However, Parad in its raw form is deadly as a poison. Through their mystic powers, the yogis create gauri chintamani, which is a potable form of Parad and consume it. Mercury has significant usage in Ayurveda and is called a flowing metalloid (fluid metal). 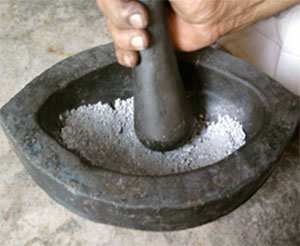 It is used in the treatment of ailments such as asthma, sexual problems and blood pressures. Parad solidified in form of beads can be used in the treatment of diabetes, blood pressure and heart diseases. The bead or rosary of Parad beads should be worn around the neck or waist. Parad has several medicinal properties. Having milk in a Parad vessel acts a cleansing agent that purifies the body. Also Parad as mentioned in the scriptures is used to boost physical strength and reduce ailments such as diabetes and asthma. The other supreme benefits of Parad include nullification of Vastu defects, protection against black magic, increased sexual power, self-confidence and harmony in relationships. 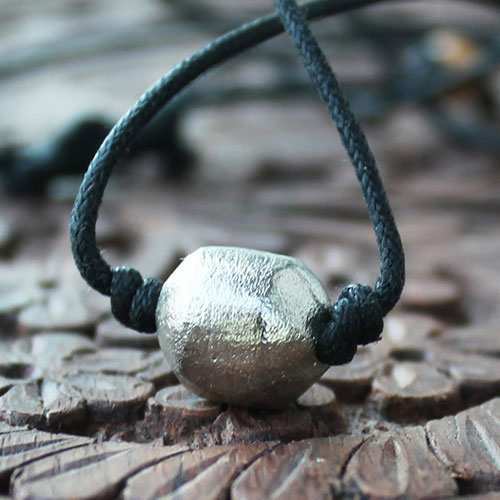 The solid Mercury i.e parad ball or balls shall be threaded and worn around the neck in the form of a locket to get protection from evil spirits. Every house should have a solid Mercury deity to keep away the evil eye. As per Parad Samhita, a cup made of Mercury (called Parad Amrit Cup) can be used to treat several diseases. When raw milk is placed in it and consumed, it makes the human body powerful, agile and lustrous. It also states that a solid Mercury ball should be dipped four times in 200 ml of raw milk and taken before sleep at night. In order to get rid of all diseases, the aforesaid milk should be continuously taken for a minimum of 41 days and maximum three months without a break. 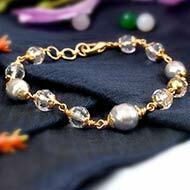 However at Rudra Centre, we advice you to just wear the bead for full effects in form of a bracelet on right hand or necklace or a pendent close to throat. In case of body ache, the mercury ball should be worn on the body so that it touches the affected body part. It should be worn until the pain is completely cured. The mercury ball can also be dipped in pure Ghee or oil for 24 hours and then it should be massaged on the aching body part. The Ghee or oil must be cool. 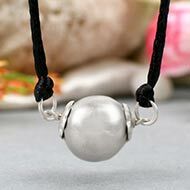 For digestive problems, constipation, gas in the stomach and headache, the Mercury ball should be worn around the naval for 15-20 minutes daily for recovery. Meditation is best done by tying a parad bead on the forehead with an adjustable thread or keeping a parad ball on the top of the head. 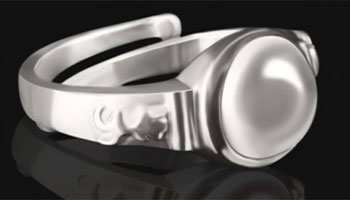 A ring made of parad bead is said to pacify malefics of all planets and is a substitute of all gemstones. It is also worn for purpose of fulfilment of a sankalpa (strong intention). In that case, the ring is discarded in flowing water once the sankalpa is fulfilled. Ling Koti Sahastrasya Yatfalam Samyagarchanaat. Worshiping a Parad Shivlinga is equal to worshiping a thousand Shivlings. Mere taking a sight of a Parad Shivling nullifies the sins of killing a thousand Brahmins and cows. Touching a Parad Shivling certainly rids the worshiper of all the miseries of material nature and awakens their latent spirutal nature. These are the worlds of Lord Shiva. 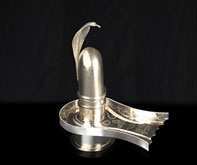 Those desiring to achieve higher goals in life and quickly to be done with the past karmas must have a Parad Shivling. The divine merit that one obtains by performing a hundred Ashvamedha Yagnas, by giving in charity a ten million cows, by giving tons of gold in charity and by performing the pilgrimage of all the four divine seats is achieved easily just by acquiring the glimpse of a Parad Shivaling. â€œLongevity, good health, prosperity and all desired achievements can be had through the worship of Parad Shivaling. Copper has thirty two, iron has sixty four, silver has eighty, gold hundred, diamond and mica thousand and mercury hundred million qualities. Ancient seers and Vedic scholars were aware of the mystic connection between the Cosmos and all the metals. These metals discharge super-charged elemental waves. Mercury has its own cosmic tattvas emitted constantly but they are of irregular in nature. Therefore it is considered to be the most fickle and poisonous metal of all. It is just like the human mind that is also unstable and wandering. 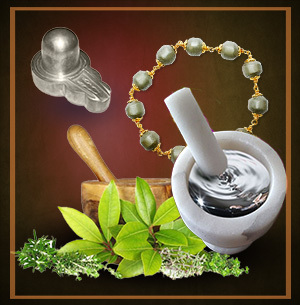 The elemental Mercury can be stabilized through the purifying process as per the scriptures. 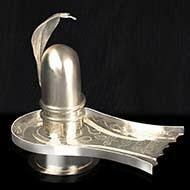 A shivling made of stabilized Parad is a great object of prayers and meditation. It stabilizes the meditators mind and body. the secret to Sadhak Ravanas rise to fame was Parad Shivling. He was also an expert in this science and was called a Ras Siddh Yogi. He not only acquired astounding powers through this science but also converted his capital Lanka into a city of gold. 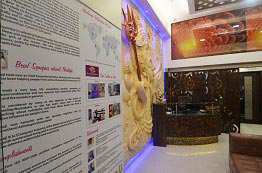 He in his secret dark chamber used to offer the results of austerities to Shiva through the worship of Parad Shivling. Not only Ravana, even Banasur and other ruling dynasties secretly worshipped Parad Shivlinga. 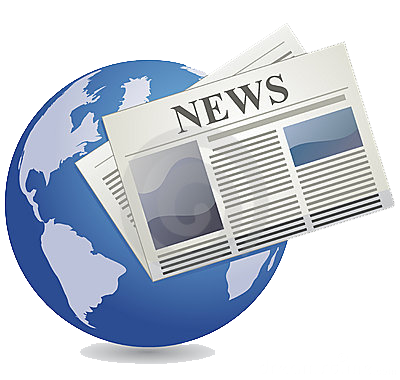 Much is talked about Parad and other metals across the world. The chemistry of these metals is mentioned in the Rasashastra India's ancient science of using the fundamental essences of various substances (metals) for healing and spiritual growth. It was Nagarjun, a philosopher, metallurgist and saint (10th century) who extensively studied Mercury and its secret powers. Although Rasashastra was a branch of Ayurveda, it received recognition due to his efforts. Fundamentally Rasashastra mentions purification, transmutation and potentiation of various metals, gemstones and herb essences. It is a highly superior and sacred art. A Siddh Parad is prepared through the secret Vedic rituals and several samskara processes passed on from generations of Vaidyas and Siddhas. In accordance with the scriptures such as Ayurveda science, only Parad is an element that can remain mixed with other elements without actually losing its own identity. Naturally occurring mercury is a poison but after treating it to various processes like Swedan, Mardan, Murcchhan, Utthapan, and Patan etc. it can be cleansed of all toxic properties. Such purified Parad becomes an equivalent of a life-giving potion. 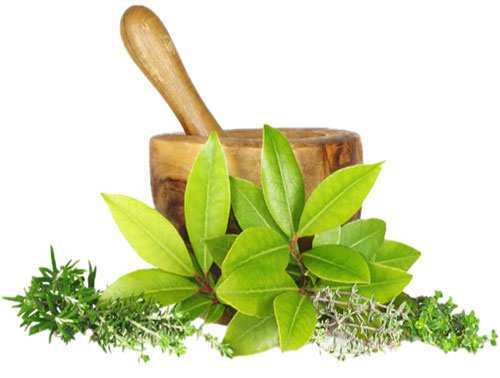 As per Ayurvedic science Parad is the only element that can remain mixed with other elements without losing its own identity. At Rudra Centre, we follow the Vedic codes of purification and process the mercury in order to purify it. As per Rasashastra (A Vedic treatise on chemicals), purified Parad has a blue touch internally and dazzling whiteness externally. The samskaras done on Parad involve churning it with Neem leaves, turmeric, lemon and 24 different exotic herbs. Parad is the only source of totality, healthy physique and extremely long life. Parad is the chief of all metals used in the preparations of gold. The offering, worshipping, contemplating, holding and consuming of Parad rid you of all the sins. Parad works on the Sahasrara Chakra with is in form of a thousand petal lotus on the top of the head. 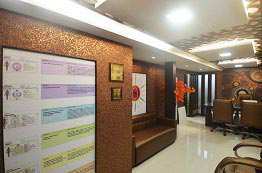 It enhances the association with Lord Shiva and benefits in meditation and spiritual routines. It purifies the Citta which is a part of the mind system storing all memories and thoughts. It cures diseases of the brain and nervous system. It brings peace, contentment, concentration, dhyana and support in Samadhi. Siddh Parad when prepared as per ancient knowledge of Parad Bandhan contains miraculous properties of healing and protection. 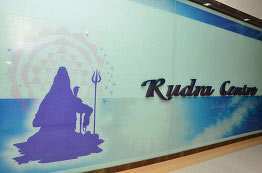 Parad at Rudra Centre is largely prepared by Pundit Deenanathji from Jaipur. 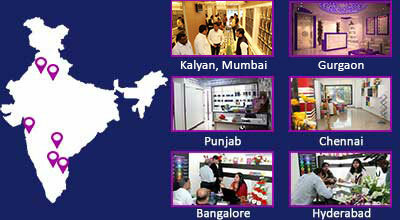 To cope with the increasing demand for Parad items, we have started preparing Parad in our own premises also. According to Parad Samhita (Vedic treatise on mercury), Parad should be put through the eight stages of purification called Eight Samskaras. We undertake the process of purifying Parad and eliminate Saptakanchuki. The Siddha Parad (Mercury mouth closed with Aghor Vidhya) is formed to make Murthi - Badhha/Agnibadha (heat sustaining) Parad. This alchemical parad gives twenty four rasas and five tattvas that remove all diseases from the body. 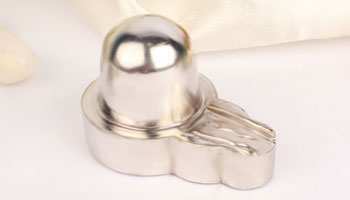 Available in two sizes, Parad Shivlinga is best for Abhishek. Japa meditation on the sacred names of Lord Shiva in the vicinity of the Shivlinga strengthens your spiritual side. Parad beads are combined with gemstones and Rudraksha to prepare beautiful jewelry. 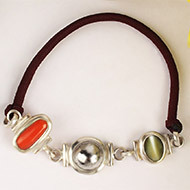 Mani Bracelet is worn on the right hand for peace, prosperity, health and spiritual growth. It is made with pure Parad beads strung with the knots in between each bead. Best for peace, prosperity, health and spiritual growth. Pyramids made of pure parad produces powerful cosmic vibrations that purify the atmosphere and enrich the aura of the place. 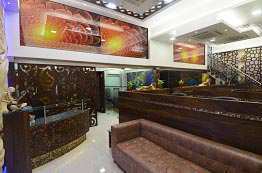 When installed in North East, it eliminates Vastu dosha. The Parad Samhita (a Vedic treatise on Mercury) mentions that the wearer of a Parad ring attains cosmic power equal to that offered by gemstones. We offer deity lockets of Shiva, Hanuman, and Durga in pure Siddh Parad. What is the difference between silver coated Parad and plain Parad? Plain Parad touches your skin and gives more effect but it dulls quickly. Silver-layered Parad works through the silver coating producing the same effect but it looks better in terms of appearance. Can a Parad Shivling be placed at home? If yes, do we need to perform abhishekam regularly on the Parad Lingam? Yes. Parad Shivling can be kept at home. Performing Abhishekam daily is not obligatory. 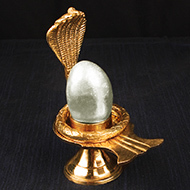 The presence of this divine Shivling in your home itself invites positive cosmic energies. How do I use Parad on body? You may wear as a ring or as a bead on neck or on wrist. 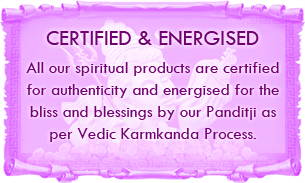 It cleans and purifies, giving you good health and spiritual upliftment. Can I dip your Parad Gutika in milk overnight and have the milk in the morning? Although our Parad products are alchemical and made with Ayurvedic procedures, we do not recommend consumption. The Parad gutika will give you ample benefits by wearing as stated (as pendant on right hand or close to throat or as ring on right Index finger). 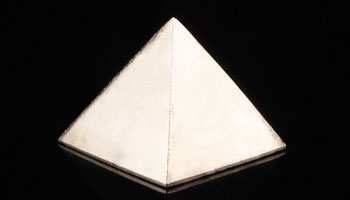 What are the benefits of Parad Pyramid and where should I place it? A Parad Pyramid corrects Vastu dosh of home/office; it also brings in prosperity, luck and cleanses the aura of the place. This should be placed in the North East of your home/office. Do you provide authenticity of Parad? Yes, we do provide authenticity certificate with all our Parad Products.